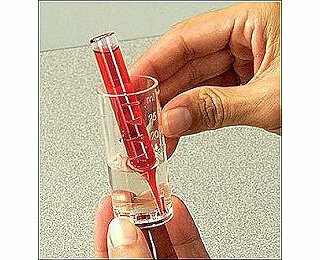 PASCO’s ezSample™ water quality test kits simplify chemical testing of water sources. Avoid the mess and difficulty of handling chemicals directly — and get great results even in the field! This kit contains 30 individual Phosphate test vials. Vials contain a vacuum sealed color forming reagent to test a variety of water quality parameters. 30 individual Total Hardness test vials.